Back in the middle ages or like the 1980’s as our parent’s call it there was a tradition of taking fruit or grapes. This is a tradition that goes back just a few generations, like all the way back to the times of the Romans. Those Roman peeps thought that grapes would make a person feel better and recover quicker because they would turn in to alcohol or something in your stomach which would then cure you from the dreaded lurgy or the plague or flea bites or whatever illness you were suffering from. At NetFlorist we know that whilst grapes are great, cake makes the best get well gift, after all who wants to eat grapes when they can have cake? NetFlorist is everyone’s favourite online florist and we are proud to say that we have created a fab range of freshly baked cakes and cupcakes to buy and send online we have a huge selection of get well soon cupcakes for you to buy and send online, we have chocolate cupcakes, vanilla cupcakes, red velvet cupcakes and fruit flavoured cupcakes, because why eat fruit when you’re sick when you can eat fruit flavoured cupcakes instead? If there is one illness that every woman hates it is the dreaded man flu! This illness can turn grown men to toddlers and toddlers to babies in the blink of an eye. If you have a man in your life, be it dad, your hubby, your brother or your son, who is feeling like death incarnate why not order him get well bakery goods online? Buying and sending get well cupcakes online is a great way to cheer any dude up, even one suffering from the man flu! Why not send him a cupcake combo box with an assortment of cupcakes. 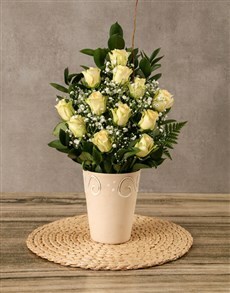 Whatever get well soon gift that you’re looking to send NetFlorist is the best online florist and gift shop in South Africa to go to to buy freshly baked cupcakes online and with our nationwide, next day cake delivery, we’ll get your get well soon cupcakes to your friend or family member faster than they can hack out a cough!